What can you learn from other leaders? How are leaders in Asia working to make a difference? What stories are they telling about their experiences and the lessons they learned? We listen, we select and we capture stories worth sharing, to inspire aspiring leaders on their journey. Contact us if you have suggestions for leaders to be interviewed. And what is the untold story about your own leadership journey? Meet Candra Fajri Ananda, a professor of economics and business who cleaned his family’s shoes and became a national advisor in fiscal decentralization. What are his 3 recommendations for aspiring leaders in Asia? Meet Yoshida Chandra, a copywriter and feminist who baked cookies and then founded a language school. What are her 3 recommendations for aspiring leaders in Asia? Pacita Juan, Chair, ECHOglobal Holdings Inc.
Meet Pacita Juan, a CEO and coffee connoisseur who founded a social enterprise and then championed slow food in her country. What are her 3 recommendations for aspiring leaders in Asia? Meet Aldrin Calderon, a cadet officer who led high-school students in citizen army training and then became a passionate designer of energy-efficient technologies. What are his 3 recommendations for aspiring leaders in Asia? Meet Anne-Marie Mananquil Bakker, an entrepreneur with a passion for planting trees who embraced renewable energy and started looking for misfits. What are her 3 recommendations for aspiring leaders in Asia? Meet Melati and Isabel Wijsen, a sister duo in Bali with a passion for the environment who started campaigning at age 10 and 12 to stop plastic bags and spurred a global movement for change. What are their 3 recommendations for aspiring leaders in Asia? Meet Ketut Sulistyawati, a free spirit with a passion to find her independence who researched fighter pilots and founded a user experience consultancy. What are her 3 recommendations for aspiring leaders in Asia? Meet Patricia Alejandro Paterno, an interior designer with a passion for writing who led her four siblings to grow their first family shop into 20 thriving stores. What are her 3 recommendations for aspiring leaders in Asia? Meet Bambang Setia Dharma, an apple seller with a passion for marketing who rose to the corporate top in Southeast Asia and then became a boutique resort owner. What are his 3 recommendations for aspiring leaders in Asia? Meet Kimio Takeya, a national football player with a passion for winning who innovated engineering excellence and then became an international champion for disaster risk reduction. What are his 3 recommendations for aspiring leaders in Asia? Meet French Vibar, a leadership trainer with a passion for literature who worked in Africa and then became a social entrepreneur in agribusiness. What are her 3 recommendations for aspiring leaders in Asia? Meet Hyoungmin Kim, a student of management with a passion for education who worked at a professional football club and then became a convener of urban youth exchange programs for Asia and the Pacific. What are his 3 recommendations for aspiring leaders in Asia? Meet Jessica Lam, an accountant with a passion for working with people who became an environmental advocate and then co-founded a start-up company producing air-quality technology. What are her 3 recommendations for aspiring leaders in Asia? Meet Andina Dwifatma, a communications specialist with a passion for journalism who became an award-winning novelist and then founded a collaborative platform for lay writers. What are her 3 recommendations for aspiring leaders in Asia? Meet Sun Fu, an environmental specialist with a passion for teaching who became an international coordinator for water security. What are his 3 recommendations for aspiring leaders in Asia? Meet Sun Feng, a language graduate with a passion for dancing who became a master of science in water management and a leader in international cooperation for healthy rivers. What are her 3 recommendations for aspiring leaders in Asia? Meet Toshi Nakamura, who studied law and political science and grew passionate about resolving societal conflicts on an international scale, and then started an enterprise that connects simple and life-changing technology with people 'in the last mile' in 24 countries around the world. What are his 3 recommendations for aspiring leaders in Asia? Meet Endang Widiati, a civil engineer who grew into a participatory development advocate and then became general manager of Bali’s leading business group in yoga-based events, retail clothing, healthy food, holistic healing, community support, business registry and media resources. What are her 3 recommendations for aspiring leaders in Asia? Meet Soemantri Widagdo, a leading innovation scientist, international art curator, and social change maker, affectionately known as Pak Tri. What steps does he recommend aspiring leaders in Asia to take? And in doing so, what strengths can they build on, and what leadership roles can they explore? 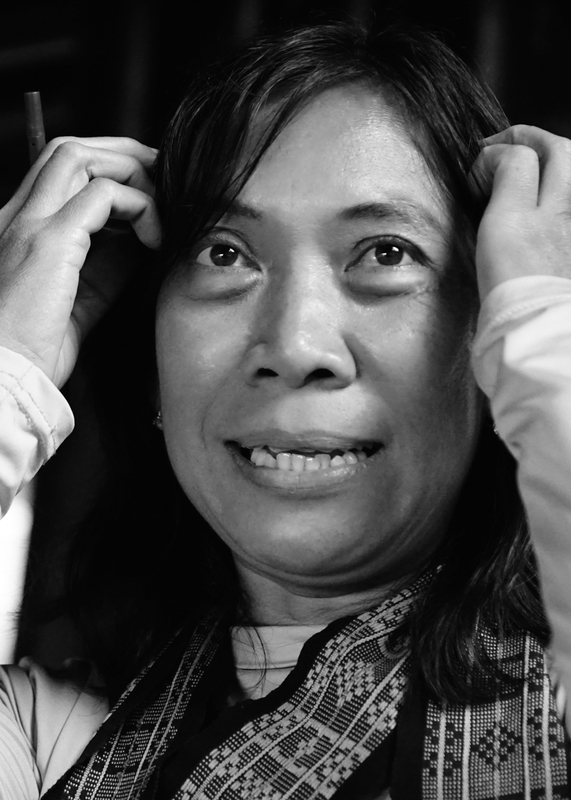 Meet Maria Loretha, a champion leader for healthy change in Eastern Indonesia. The eldest of five children, Maria grew up in West Kalimantan, home of Indonesia’s Dayak people. How did she become a community leader for nutritious local foods across her country? Are you a sustainability leader with a story that others can learn from? Then get in touch.